What do we do if we have alreadyt installed Analytics manually but not the ecommerce code? Will this module overwrite those? What do we do if we have already installed Analytics manually but not the ecommerce code? Will this module overwrite those? It will not “overwrite” that code as such, BUT, you will definitely want to remove the tracking code you inserted manually because you do not want duplicate tracking codes on the same page as that may cause some issues with how Google reports your data. 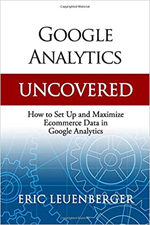 If you have already installed the Google Analytics Code by hand, then you will want to remove those lines of tracking from the page you installed it on. 1) Find the section(s) of tracking code that you installed by hand and make a note of your Google Tracking ID Number (you will use this to configure the Analytics from within the Admin). So if your original tracking code was in the “footer” file, then you would want to remove that, and save the file then add the lines of code above to the “tpl_main_page.php”. More detailed instructions are included in the README that comes with the contribution. Thank you for this all to easy plugin. It really was “simple” to install.